In certain instances, simply randomizing records is not sufficient. Certain field values have inherent information regardless of the record that holds them. Phone numbers, social security number, patient numbers, and the like all contain information all by themselves that may breach confidentiality. HIPAA regulations in particular are very strict about displaying any data that could identify a patient. So to further mask your data, it may be necessary to scramble character data with in the field itself. Now, it doesn't make sense to randomize some types of fields. Name and address fields in particular will look strange if randomized in this way. Not only does it look strange, the capitalization of the names makes it fairly easy to re-identify the field values. So this function needs to be used with some discretion. It is best used with character data that is composed of numbers. A further complication is that sometimes character data uses an input mask that displays characters that may either be stored or not. For instance, when you see a social security number in a field 111-22-3333, you don't really know if the number was stored as displayed or stored as 111223333. If the dashes are stored, the number might be randomized as 2-33311-13. So any function that randomizes character data must take these complications into account. This process is similar to the record randomization process, but it only works on character data. Instead of creating a temporary table that holds all the records, we'll create two temporary string variables, one to hold value of the field we want to randomize and another to hold the randomized value. Then we'll grab random characters from the Source string and append them one at time into the Target string. We'll start at the top record of the main table, randomize the character string, write it back into the record, then proceed through the entire table until all values of the field have been randomized. Unlike the record randomization process, this process will work on fields with Unique Indexes and Primary Keys. In fact, if a field has a unique index, you should not remove it. It is entirely possible to create duplicate records at random, so I will include error trapping to identify duplicate records. If one is discovered, it will randomize the string again until it creates a non-duplicate field value. While this process will work on a Primary Key field, you should be careful. If this field participates in a Relationship, you will lose relational integrity. That is, the values in the primary key will no longer match values in the foreign key of the related table. If you do this, you should make certain your relationships have Cascade Updates property set to Yes. This is not an issue, however, if your Primary Key is an Autonumber field for two reasons. One, an Autonumber is a long integer rather than character data, and secondly, you cannot change the value of an Autonumber. cboTable & " has been character scrambled." In the Character Randomizing routine above, I have a line of code that applies the appropriate format. However, I don't say how you'll know what the appropriate format is. That's because we'll decide this in the calling routine. Whether we send a format string to the randomization routine depends on whether the field has an input mask. It also depends on what kind of input mask it has. There are three possibilities for the InputMask property of a field: an input mask that saves the characters, an input mask that does not save display characters, and no input mask at all. However for our purposes, an input mask that does not save characters is the same as no input mask at all. So all we have to test for is an input mask that saves display characters. An input mask has three sections. The first is the input mask itself. The second is tells the mask whether to save the display characters or not, and the third tells what kind of placeholder character the input mask will display. Semi-colons divide each section. We are only concerned here with the second section. If the input mask saves the character, the second section holds a zero. A one or nothing indicates the mask will not save the display characters. Therefore, we can test the input mask for ";0;". If this string does not appear in the input mask, the display characters are not saved. The InputMask property is one of those properties that don't exist for the object unless a value is assigned to it. So if a field does not have an input mask, trying to read the property will produce an error. Therefore, I will trap for that error (3270) to cover the case where there is no input mask. Again, how you implement this code depends on how it is going to be used. As with the Record Randomizing routine, I chose to create a form with combo boxes on the form (cboTable and cboFieldName) to hold the table, field names, and one for the format. I also added a control that displays the input mask for identification purposes. The following code uses such a set up and would be in the On Click event of the cmdRunCharRandomization command button of the form. '*** This code is the calling routine.
' routine and include the FieldFormat string. MsgBox "Please select both a table and a field"
Figure 2: Example form that could be used to run the character randomization code. Using a form like above allows you to select a field to scramble. You can select, in turn, all of fields with identifying data. On my website, you can find a small sample database called CharacterScramble.accdb, which demonstrates this process, including the calling form. One caution. If you are randomizing fields to de-identify data to comply with regulatory rules, you should get approval for using this process with your regulatory compliance officer. For instance, HIPAA rules specify that if you de-identify data, you must use an algorithm which prevents the data from being reconstructed. Since this routine selects characters at random, I believe it complies with this instruction, but only your regulatory officer would know for sure. There are many reasons for masking, blinding, scrambling, or de-identifying data within a database. Creating realistic data for demonstration purposes and masking data to comply with regulatory rules are just two. But with a little programming expertise, it doesn't have to be an onerous task. There are a number of circumstances when you as a developer might need to randomize data within a database. You may need to create sample data to test or demonstrate a database application. Or you may need to mask or "de-identify" confidential data to comply with regulatory agency rules. 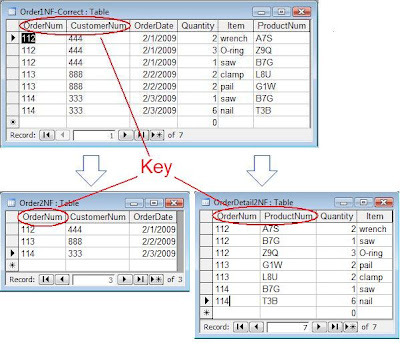 This article demonstrates two methods that can be used, either separately or in conjunction, to scramble your database. Creating test data for a database application is always a difficult task. You need to create enough records to adequately test database performance. A design that works well with a hundred records, might not work with ten thousand. You also need to create data varied enough to mimic real world situations, data that will test the limits of the business rules. Developers have a tendency to create data that will work with their application, not data that will break it. The very best source for creating test data is actual customer data. Nothing mimics real-world data like the real-world data. Unfortunately, your customers may not appreciate their data being used in this way. Worse yet, there may be regulatory considerations. For instance, the health care industry has to comply with HIPAA (Health Insurance Portability and Accountability Act) regulations, which has very strict compliance rules. Let's start by considering the simplest case. You simply want to mask customer data without the necessity of complying with regulations. It is probably sufficient to simply randomize each field that could identify a record to effectively mask the data. Tables 1 and 2 show the before and after of a small Customer table that has been randomized. Of course, with only three records, the randomization is not very random, but the larger the result set, the better the randomization will be. So let's see how to do this. The first thing we'll do is create a temporary table that holds the values we want to randomize. This is best done with a Make Table query (SELECT...INTO). Then we'll start at the top record of the main table and copy random values from the temporary table back into the main table. As each value is copied back in, we'll delete it from the temporary table. Repeat this process for each field and the records will be thoroughly scrambled. One caveat: This process won't work if the field is a Primary Key or has a Unique Index because it will temporarily cause duplicate records. So, you'll have to manually remove the constraint. Of course it is possible to remove and re-establish constraints programmatically, but that is beyond the scope of this article. Lastly, this code will not work with an Autonumber field under any circumstances. The first thing we have to do is create a temporary table, called "tblRandom" to hold the field values. (I could have used an array to do the same thing, but since this is a database project, I prefer to use database objects.) As I said, we can use a SQL statement in the form of a Make Table Query. The following subroutine shows how to do that. "FROM [" & TableName & "];"
The error trapping code in the function is necessary because if the table "tblRandom" already exists, the Make Table query will fail. But the code traps for that error (3265) and skips the Delete command. Now we are ready to randomize the fields. The following subroutine will do that.
' field in the selected table. "If you removed an index, please recreate it." "you can restore the index." Now, all that's left is to pull it all together with a calling routine. How you do that depends on how it is going to be used. For instance, this code could be placed in a form with combo boxes on the form (cboTable and cboFieldName) holding the table and field names. Then you could select the table and field from lists. The following code uses such a set up and would be in the On Click event of the cmdRunRandomization command button of the form. Figure 1: Example form that could be used to run the field randomization code. Using a form like above allows you to select a field to scramble. You can select, in turn, all of fields with identifying data. On my website, you can find a small sample database called Datascramble.accdb, which demonstrates this process, including the calling form. But sometimes just re-arranging field values in the records is not enough. Sometimes, your fields contain sensitive data like Social Security Numbers or Patient Identifiers which can’t be displayed even if it’s attached to the wrong record. One of the powerful features of Microsoft Access is its ability to run queries in Visual Basic for Applications (VBA) code. However, there are a couple of problems that plague developers when they attempt to do this. One is the problem of confirmation messages when running an Action query. There are a variety of circumstances under which you might want to run a query in VBA code. You may want to just display the results of a Select query to the screen at the push of a button. You may want to run an Action Query in a code module as part of another process. You may even want to open a virtual recordset to do some data manipulation that can't be done directly in SQL. Access provides you several ways to accomplish this, depending on what you are trying to do. There are two broad categories of queries in Access: Select queries and Action queries. Select queries simply return and display records. Action queries, on the other hand, actually modify the data in your tables. Append queries, Update queries, and Make Table queries are all action queries. This statement will run the either type of query exactly as if you had run it from the Query Window. If the query is a Select query, it will simply return the query results to the screen, as in Figure 1. Figure 1: Results of a Select query displayed to the screen using Docmd.OpenQuery. However, since Action queries modify data in your tables, they don't return anything to the screen. So Access displays a couple of confirmation dialog boxes to warn you that you are about to change your data. For instance, running an Update query will make the confirmation dialog box in Figure 2 appear. Figure 2: Dialog box asking for confirmation of the Update query. Followed by a second dialog box confirming the action. Like Figure 3. While these messages are generally a good thing when using the Access Graphical User Interface (GUI), if you running an action query as part of an automated process, these confirmation boxes can be annoying. There are several ways to turn off these messages. First of all, you could turn off all confirmation boxes for Action queries by going to Tools menu, click Options, then click the Edit/Find tab. Under Confirm, clear the Action queries check box. On the whole, however, this is generally not a good idea. This option will affect all action queries in all databases. It would be better to target just those queries that you are certain you want to run without confirmation. Another way to keep these messages from appearing is to turn off the warning messages programmatically. The SetWarnings method of the DoCmd statement will turn off the warning messages until you turn them on again. To do this, you surround the query you want to run with one command to turn them off and another to turn them back on. It is important to use these statements in pairs because all dialog boxes will be turned off (even the ones you want) until the database is shut down and restarted. The problem with this method is that in addition to turning off the confirmation boxes, it will also turn off all error messages. So if there is an error when running the query, it will fail silently, leaving you no indication it had failed. This is rarely optimal. The best solution is to turn off the confirmation messages while allowing the real error messages to display. The best way to run queries in code is through the Data Access Object model or DAO. DAO gives you programmatic access to the entire database. Through DAO, you can change the structure of the database, modify the data in the database, and create or modify the database objects like forms, reports and queries. You can also use DAO to execute action queries. Once you have created a database variable, you can use the Execute method to run the action query. The Execute method assumes you know what you're doing, so it does not display confirmation messages. The optional parameter, dbFailOnError, will display any error messages. Technically, you wouldn't have to create and initialize a database variable to run this query. Access provides a shortcut. The CurrentDb object will give you direct access to the database. It creates a temporary instance of the database that persists only until that line is executed. It can only be used for that one command. However, there are times when you want the database object to persist because you want to do multiple things with it, which leads me to opening parameter queries in code. You can find a companion sample which illustrates how to suppress confirmation messages when running an Action query in VBA code, and is a perfect companion to the Action Queries Series. You can find the sample here: http://www.rogersaccesslibrary.com/forum/forum_posts.asp?TID=402. In a previous post (Bang Vs. Dot In DAO), I wrote about the difference between the Dot (.) and the Bang (!) in DAO. It's pretty straight forward. Dot is used to separate one level of the DAO hierarchy, separating an object from its methods and properties. Bang is used to separate an object from the collection in which it is contained. This is true as far as it goes, but two types of objects in Access, Forms and Reports, muddy the waters considerably. Because form and reports are classes, controls on them are members of both the Objects Collection and a property of the form or report itself. You can verify this by creating a new form or report object and looking at the Object Browser in the Visual Basic Editor. Create a new form: Form2 with no controls or Record Source. Open the Visual Basic editor and push <F2> to open the Object Browser . To the right, you'll see a list of Classes and Members. These members represent the properties and methods and properties of the selected Class. Access creates a number of default methods and properties which I'll ignore for now. Make this table the RecordSource for Form2. Table1ID, Field1, and Field2 appear in the member list. This demonstrates that the fields in the record source behind the form are properties of the form. See Figure 2. Next I'll reference the fields behind the form. To reference an object on a form, you start with the Forms collection, followed by a Bang (! ), followed by the form name. Like this Forms!Form2. This gives me a reference to the form itself. Return the value of Table1ID. But even though they produce the same result, they aren't the same. It's really a case of two objects that mean different things but nevertheless almost always give the same result. The bang (!) notation specifically denotes that what follows is a member of a collection; in this case, a member of the form object's default collection, the Controls collection. The dot (.) notation denotes that what follows is a property or method of the preceding object. And then, just to muddy the waters even further, there's the "Me" object. The Me object is used in Visual Basic for Applications (VBA) to reference an instance of a class module. It is an implicitly declared variable and is available to every procedure within the class module and only within the class module. But as I said, the Me object muddies the water because Me.ControlName also works. I know why Me!ControlName works. It is really just a short-hand way of referring to the default collection and property of the Form object. .. works. You're asking for the "txtTextBox" property of Forms!MyForm -- which is a pointer to the control, in this case, the text box object. So, which is actually preferred? The answer is ... it depends. Runtime error if control is missing or mis-spelled. Slightly faster than Me Bang. Me Bang ALWAYS works to reference the value of a control. If a control is named the same as a reserved word (i.e. "Name"), Me Bang will correctly reference the control. If the Record Source of a form is modified at run-time, Me Bang will continue to work. Intellisense can be initiated with <ctrl>+<space>. You sometime hear that: "the bang (!) refers to user-defined things and dot (.) refers to Access-defined things." Although that is the standard rule of thumb, it is not exactly correct. More precisely, the bang (!) serves to separate an object from the collection which contains it, and the dot (.) serves to separate one level of the DAO hierarchy from another. The dot also serves to separate an object from its properties and methods, which can also be thought of as another level in the hierarchy. So I can refer to "TableDefs!Table1.RecordCount". RecordCount being a property of Table1. The bang (!) separates objects from the collections which hold them, thus it separates "Table1" from the collection "TableDefs" and the object "c:\msoffice\access97\test.mdb" from its collection "Databases". Since most objects are defined by you, and since levels of DAO hierarchy are defined by Access, we get the rule of thumb named earlier. The dot serves to separate one level of the DAO hierarchy from another in a fully qualified object name. The dot also serves to separate an object from its methods and properties. (This, by the way, is the principle use for most people). The bang serves to separate an object from the collection in which it is contained. In version DAO 3.0 (Access 2.0), you could use either the bang or the dot to separate an object from its collection. But in DAO 3.5 (Access 97), most objects didn't support the dot for this purpose. DAO 4.0 (Access 2000 and beyond), doesn't support it at all. You have to use the bang and dot properly or you will get a syntax error. But this isn't really the end of the story. When using class modules in Access (like Forms and Reports), the Bang and Dot behavior is slightly different. To find out more, read my post: Bang Vs. Dot in Forms . Sometimes a single design decision can have a cascade effect, which causes multiple, secondary design errors. One such error, commonly made by novice developers, is to slavishly follow a pre-existing paper form to determine their table design. Now certainly, when creating a database to replace a paper-based system, it is vitally important to assemble all of the forms and reports used in the system. It is by a careful review of these documents that the developer determines a majority of the fields he or she will need in order to store and report the information in the system. After all, if an input form has a place for Order Date, then the database needs a field to store it. Likewise, if a report displays the Order Quantity, then this information has to be stored in the database somewhere. But paper forms are not created with proper database design in mind. They are designed to make it easy for humans to fill out. This design can be at odds with established design principles. By blindly following the paper form to determine the database design, the developer can create a system subject to numerous data and relational integrity errors. Several years ago, I ran into a database that was the poster child for this error. I was asked to create a database to automate a logbook for the Obstetrics department of a local hospital. Someone in the department, who had some experience with Access, had taken a first pass at creating a database. Figure 1 shows the main data entry for the application. Hideous use of color. With color, less is more. The controls are scattered about, making the user hunt for them. The controls are not exactly aligned, giving the form an amateur look. The labels for the controls are sunken. This confuses the user as to which as to which controls data can be entered in. In general, labels should be flat, text boxes should be sunken, and buttons should be raised. Any variation just confuses users. But these application design issues pale in comparison to the database design problems. All of the problems below stem from a single assumption: the design of the paper form is also the best design for the database. As we will see, this is not the case. Let's look at the problems resulting from this decision. Because all of the information here was on a single paper form, the developer incorrectly assumed it should all go in one table. The first thing I did when I looked at the database was to open the Relationship Window. It was blank. I knew at that point the design was in trouble. There were supplementary tables, a bewildering number, in fact, but they were just look-up tables that had no relationship to the main data table. For instance, there was a look-up table called "Dilatation," which held the numbers 1 though 10, the acceptable values for the Dilatation field. There was a table called "Hours" which held the number 1 through 12, a table called "ZeroToThree," which held the numbers 0 through 3. There were also look-up tables for the doctors and nurses. While many of these tables were in fact useful, there were no tables to hold information representing relationships in the data. In other words, the information that was the meat of the application was in a single table. It is rare when all the information of a complex process can be stored in a single table. Figure 3: Portion of the application form implementing Induction Indications. Figure 4: Complex query counting the number of Induction Indicators. If I wanted a count of all the Indications, I would have 8 separate Select statements Unioned together, one for each Indication. So what is the proper design? The key to understanding this is to realize that you can group the individual Indication fields as values for a single field in your table. These values can be stored in a separate lookup table called refInductionIndications. If a delivery could only have one of these indications, there would be a simple One-To-Many between the Delivery table (OBDelivery) and the reference table. However, since each delivery can have one or more induction indication, there is actually a Many-To-Many relationship. Each Delivery can have one or more InductionIndications, and each InductionIndication can be part of one or more Deliveries. To create this relationship, you create an intersection table (sometimes called a linking table). The only two fields in this table are the primary key fields of each of the other tables. These fields become foreign keys in relationships created with the other two tables. To make sure you don’t get duplicate records in the intersection table, you make the foreign key fields a compound primary key. Figure 5: Correct design for storing multiple Induction Indications per Delivery. Figure 6: Subform for Induction Indications for properly designed application. Another problem of having multiple Yes/No fields to represent grouped data falls under the heading of maintenance. What happens if a new Induction Indication must be added to the database? With the single-table design, the table design itself would have to be modified, of course, but so would the form (a new check box would have to be added to an already cluttered form), and EVERY query and report using Induction Indications would have to be changed. This would require heavy, developer support. On the other hand, with the proper database design (Figure 5), adding a new indication is as easy as adding a new value to the lookup table. The users can easily do it themselves through a maintenance form in the application, and it would require no modification of the application at all. This problem was also repeated in the Vacuum/Forceps Indications and C-Section Indications sections. For each of these, the developer created multiple Yes/No fields when, in fact, a separate table was required. When a developer does not pay enough attention to the initial design, it often requires complex programming to overcome the flaws. The design of the paper form also misled the original developer regarding birth information. He never asked the obvious question, what happens if there are multiple births for a single delivery, i.e. twins or triplets? The original paper form had only one place for Birth information. When there were multiple births, hospital staff would simply use a second form, only fill out the birth portion, and staple it to the first form. This in itself should have told the developer that there was a One-To-Many relationship between the mother's information and birth information. Because the developer was stuck with the single-table design, he was forced to create program code to: 1) duplicate all of the Delivery information into a new record, 2) delete the Birth information from the new record, and 3) allow the user to enter the new Birth information for each of the multiple births. This design resulted in a huge amount of redundant data and opened the door for data integrity errors. If any of the Delivery information changed for a multiple-birth delivery, the users would have to edit multiple records, with the likelihood of data entry errors. Of course, the correct design is to have a separate Birth table that is related to the Delivery table on the Primary Key field of the Delivery table (BirthTrackingID). Figure 7: Correct design for modeling multiple Births per Delivery. The form could be modified to have a subform for holding the Births. In this way, the Delivery information would be held only once, yet the results for each individual birth could be accurately recorded while maintaining a link to the Delivery table. On the paper form, the Birth Date/Time was displayed in a particular format: i.e. "10:15 am Tues. 05/04/99". The developer believed he needed to input the date in that format. Therefore, he created the Date/Time field as a text field and created a complex process involving numerous Toolbars, Macros, and program code to assist the user in entering the data. Clicking the Date/Time field produced Figure 8. Figure 8: Series of Toolbars pop-ups when the Date/Time field was entered, which was supposed to assist the user to enter a date into a text field. A simple input mask for a date/time field would have been better. This last problem is not so much a database design problem, but an application design problem. While it is I important to follow the flow of the paper form to make data entry as easy and error-free as possible, the developer should not feel constrained to slavishly imitate the layout of the paper form to produce the application form. As the developer, you should work with the client to develop the data entry form to make it as easy as possible for the users. This may also mean a redesign of the paper form to facilitate entry into the database. With each group of related data in its own tab on the bottom. This led to a much cleaner design, which was easier for the data entry people to use. We also redesigned the paper form to facilitate this application form. On my website, (http://www.rogersaccesslibrary.com), there is a sample database called "ReallyBadDatabase.mdb", which illustrates the problems discussed here, and another called "ReallyBadDatabaseReborn.mdb", which shows how I corrected them. Does this mean the developer should completely ignore the layout of the paper forms? No. Assembling all of the input forms and reports is a vital part of the database development process. They will provide the majority of the fields necessary to the project. But you cannot let them determine your database design. As the developer, that's your job. Look for logical groupings within the fields on the form. For instance, PROM, Preterm PROM, PIH, and Macrosomia are all Induction Indications. Look for relationships in your groupings. For instance, each Delivery can have one or more Induction Indications. 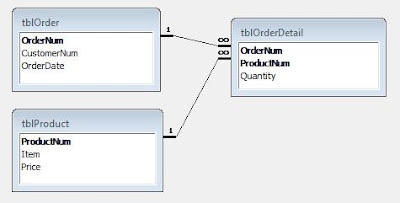 When one entity (Delivery) in your database can have multiple of another entity (Induction Indications), this tells you there needs to be a separate table for this entity. When there are a series of check boxes on a form, and they all represent alternatives of the same thing, you should not create multiple Yes/No fields, but instead create a single field where the acceptable values include all the labels of the check boxes. If more than one of these values can be selected, then you need an intersection or linking table to implement the Many-To-Many relationship. Regardless of the formatting on the form, all dates should be entered as Date/Time fields in the database. You can format the output with the Format function to meet the users needs. Check with the users of the system to make sure you have accurately modeled the data and relationships of the system. Also work with them to create an application form that is easy to use. You may also have to work with them to redesign the paper form. The developer has to delicately balance the needs of the users against proper database design techniques. In this way, the developer creates a system that is not only easy for the user, but also ensures accurate data. Last time, in The Normal Forms: First Normal Form, I discussed the rules for the basic arrangement of data in a table. If you don't follow those rules, called the First Normal Form (1NF), you don't even have a table. But even if a table is normalized to 1NF, that doesn't mean it's perfect. Figure 1 shows a table normalized to 1NF. The problem here is the danger of introducing errors, called data anomalies, into the table. Data anomalies can be introduced by operator error or through programming. Once you have a single data anomaly in your table, all of your data is suspect, so the remaining normal forms work to remove such data anomalies. Figure 2 shows the same table with data anomalies present. As you can see, Order 112 has two different customer numbers (444 and 445), which is correct? It is impossible to tell. In addition, both product numbers B7G and B7H are identified as a 'saw'. Are these the same product with different product numbers or different products with the same description? Again, I can't know based on the data in the database. The root cause of these data anomalies is redundant data, that is, data that is repeated in multiple rows. So we need to minimize this redundant data as much as possible. Now wait a second! Didn't I just say in the last post that I HAD to repeat the values? Yes I did. But that was to comply with 1NF, which is not the end of the story. Every field is functionally dependant on the entire primary key, that is, it depends on the entire primary key for its value. Before I can continue, I have to talk a bit about functional dependencies, because all of the remaining normal forms rely on this concept. Functional dependency speaks to the relationship that fields in a table have to each other. It is perhaps best explained by example. Suppose there is an Employee table, and I am an entity in that table. There is a row that represents all the information about Roger Carlson with Social Security Number (SSN) acting as the primary key. Since all the fields in my row are information about me, and I am represented by the SSN, we can say that each field depends on SSN for its value. Another way to say it is that SSN implies the value of each of the other fields in my record. If a different row is selected, with a different SSN, the values of all the other fields will change to represent that entity. 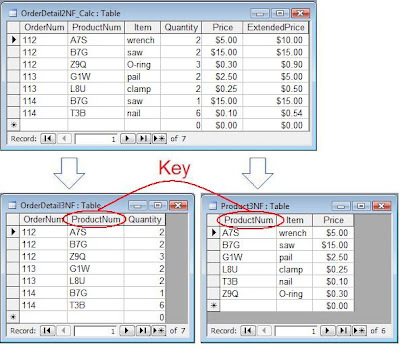 Second Normal Form says that all of the fields in a table must depend on the ENTIRE primary key. When there is a single primary key (like SSN), it is pretty simple. Each field must be a fact about the record. But when there is a compound primary key, it's possible that some fields may depend on just part of the primary key. Going back to our Order Table example, Figure 3 shows these partial dependencies. In order to uniquely identify the record, the primary key of this table is a combination of OrderNum and ProductNum (or Item, but a number is a better choice). 2NF says that each field must depend on the ENTIRE primary key. This is true for some fields: Quantity depends on both the OrderNum and ProductNum, so does Item. However, some fields do not. Order 112 will be for customer 444 regardless of the product selected. The order date does not change when the product number changes either. These fields depend ONLY on the OrderNum field. Since some fields do not depend on the entire primary key, it is not in Second Normal Form. So what do I do about it? The solution is to remove those records, which do not depend on the entire primary key, to a separate table where they do. In the process, I remove the redundant or repeated data so there is just a single record for each. Figure 4 shows the process of decomposing the table into two tables. This corrects the data anomaly with the two different customers for the same order. However, I still have the problem of the product number and the item description. It's still possible for the same product to have different descriptions or different items sharing the same ProductNum, as Figure 5 illustrates. Figure 5: Remaining data anomalies. Product A7S is either a wrench or a nail, and a saw is either product number B7G or B7H. To correct these problems, I need to add yet another normal form: Third Normal Form. I'll talk about that next. In Normal Forms: Introduction, I introduced the topic of the Normal Forms, the theory behind the arrangement of fields into tables. Since it is usually best to start at the beginning, I'll begin with the First Normal Form. 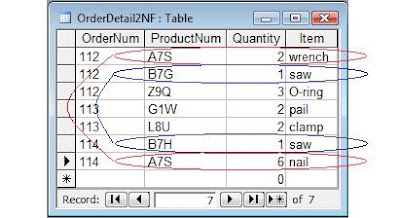 The First Normal Form, or 1NF, is the very lowest, basic arrangement of fields in a table. If your table is not in 1NF, then it isn't really a table. Sadly, many novice databases are not even in 1NF. First of all, the operation of the table will be unaffected by the order the rows are in or the order the fields are within the row. It means that each record must be complete unto itself without referencing another row positionally, for example, the row above. Likewise the position of the fields is irrelevant. Since each record is unique, it means there are no duplicate records. This uniqueness is defined by a field or combination of fields whose value will never be duplicated. This is called the primary key. In order to assure uniqueness, no part of a primary key may be NULL. Lastly, there are no repeating columns. Repeating columns are columns that store essentially the same information. They may be columns like Product1, Product2, Product3; or multiple Yes/No columns that represent the same information like each product having its own column (Saw, Hammer, Nails). Let's take a look at how these rules are implemented and what they mean for table design. Suppose I want a simple Order table with OrderNum, CustomerNum, OrderDate, Quantity, Item, and ProductNum. Although the definition of 1NF is fairly simple, it precludes a wide range of data arrangements. Let's take a look at some of these arrangements. Figure 1 shows one way such data can be arranged. To make each record unique, the primary key would have to be OrderNum and Item. However, since no part of the primary key may be Null, this arrangement won't work. All the values of the primary key must be filled in. But even more than this, the record is not "complete" unto itself. That is, it refers to other records for information. It's not that the values of OrderNum, CustomerNum, or OrderDate are unknown and therefore NULL. I do know the value, but I'm attempting to represent that data positionally. This, of course, violates the first rule (order is irrelevant) and rule 3 (each field must have a value). This arrangement is common in spreadsheets and reports, but it is not sufficient for storing data. Figure 2 shows another way the data can be arranged. This violates rule 3. Each field must hold one and only one piece of information and not a list. It would be a nightmare to do anything with the date in the Item field other than simply display it because the database management system is designed to treat fields as indivisible. While this is better than Figure 2 (at least it does not mix fields), it is still not atomic and you'd have difficultly associating a quantity with a particular product. 1NF also precludes compound values, things like full names in a single field or multi-part identification numbers. Why not store a full name? Roger J. Carlson is certainly pertinent information about me. However, it is not indivisible. It is made up of a first name, middle initial, and last name. Because I may want to access just pieces of it (using the first name in the salutation of a letter or sorting by last name), the information should be stored in separate fields. Often, a database requirement is to have an identification number that is composed of different, meaningful parts. A serial number may have a four-digit product code, followed by the manufacture date (8 digits), and ended with the facility ID. It might look like this COMP02222008BMH. While this may be a useful arrangement for humans, it is useless in a database. Each value should be stored in a separate field. When the serial number is needed, it can be concatenated easily enough in a query, form, or report. Figure 4 shows data that is stored in repeated columns. This arrangement is common for people who use spreadsheets a lot. In fact, this is so common it is called "committing spreadsheet". The problem, in addition to having multiple columns, is that in order to associate a quantity with a product, you would have to do it positionally, breaking rule 1. Lastly, another version of the Repeated Columns error is multiple Yes/No columns. Figure 5 illustrates that. At first blush, this does not seem to have the same problem, but all I've done is replace generic field names (Product1, Product2, etc) with specific ones (wench, saw, etc). It would be extremely easy to check a second field in any row and they you would have no idea which was correct. As we've seen, First Normal Form precludes a lot of possible data arrangements. So what's left? There's really only one possibility left. Figure 6 shows it. Each row has a unique identifier and there are no duplicates. Each field contains a single value. The position of the row and field is irrelevant, and lastly there are no repeating columns. It's perfect. Right? Well, no. While this table does conform to 1NF, it is still has some problems; problems that 1NF is not equipped to handle. For those, I need to look at the Second Normal Form (2NF), which is what I'll do next time. Normalization is a methodology for minimizing redundancy in a database without losing information. It is the theory behind the arrangement of attributes into relations. The rules which govern these arrangements are called Normal Forms. In What Is Normalization: Parts I, II, III, IV and V, I discussed the decomposition method of normalization, where you put all your fields into a single table and break the them down into smaller, normalized tables. In Entity-Relationship Diagramming: Parts I, II, III, and IV, I discussed an alternate method which works from the bottom up. It takes the individual pieces of information (Attributes) and group them into logical groupings (Entities). However, in neither case did I formally define or explain the Normal Forms. And that's for good reason. I find that only after people get a working understanding of normalization do they really understand the Normal Forms and what they imply. Therefore I usually leave them until last. If you haven't read the above mentioned serie, it would be worth your while to do so. Normalization was first developed by E. F. Codd, the father of Relational Database theory. He created a series of "Normal Forms", which mathematically defined the rules for normalization. Each normal form is "stronger" than the previous, that is, they build upon the previous normal forms. Second Normal Form (2NF) encompasses all the rules of First Normal Form (1NF) plus adding its own rules. 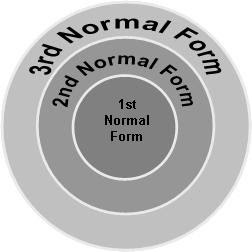 Third Normal Form encompasses all of 1NF and 2NF, and so on. In order, the normal forms are: First Normal Form (1NF), Second Normal Form (2NF), Third Normal Form (3NF), Boyce-Codd Normal Form (BCNF), Fourth Normal Form (BCNF), Fifth Normal Form (5NF), and Domain Key Normal Form (DKNF). BCNF comes between 3NF and 4NF because it was developed later, but because of its "strength" belonged between 3NF and 4NF. Since each normal form encompasses all previous forms, in theory, the higher the normal form, the "better" the database. In practice, however, normalizing to the first three normals form will avoid the vast majority of database design problems. So it is generally agreed that to be properly normalized, most databases must be in 3NF. Beyond 3NF, the normal forms become increasingly specialized. Boyce-Codd Normal form and Fourth Normal Form were created to handle special situations. Fifth Normal Form and Domain-Key Normal Form are largely of theoretical intererst and little used in practical design. So what I'm going to do for this series is limit myself to the first three normal forms, giving their definitions, implications for data, and how to implement them. In my next post, I'll start with the First Normal Form.